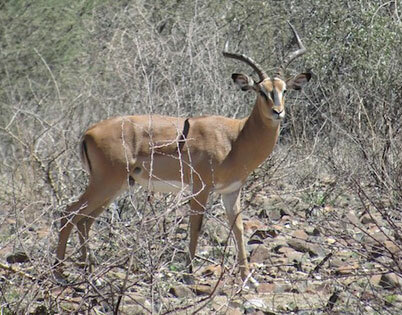 The black nose impala (aepyceros melampus petersi) is a subspecies of the much more common impala and belongs to the family of the bovines. The coat has pale- to rust-brown colouring, which gets whitish along the belly and around nose and eyes. 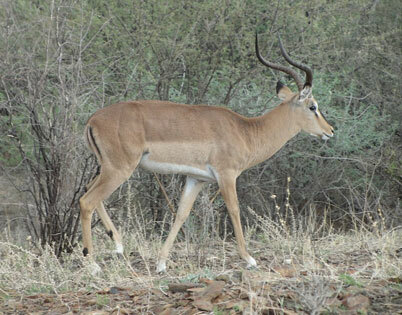 The distinctive black spot on the nose, which gave the name to the Impala, is concise. It reaches a shoulder height of up to 100 cm and feeds on low growing herbs, grasses and other plants. 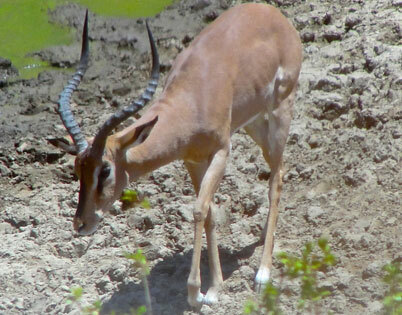 The bucks have turned inward ribbed horns, which can reach a length of up to 80 cm. 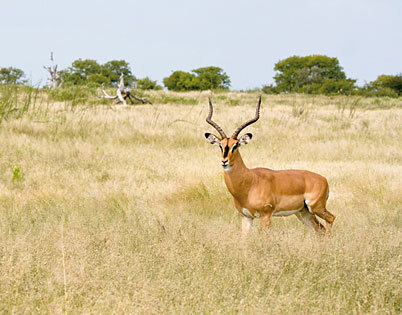 Black nose impalas can reach an age of between 15 and 20 years. Territorially very fixed, the bucks guard a "harem" of several females, and their young animals. The small herds are active mainly in the morning and evening hours. 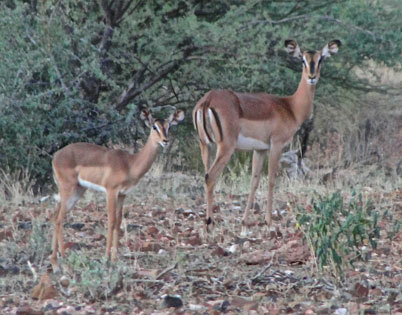 The now less and less expectant black noses impala inhabits low wooded open savannah. The spreading area extends from South of the Sahara to Angola and Namibia. The largest population can be found in the Etosha National Park. 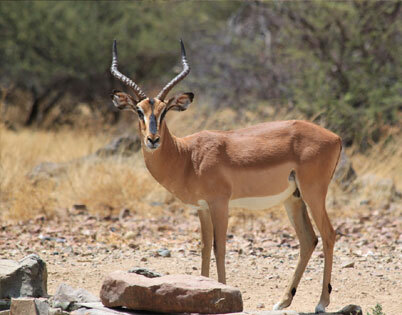 Some strong groups have settled back in the field of the ERONGO mountains and found a new home there. 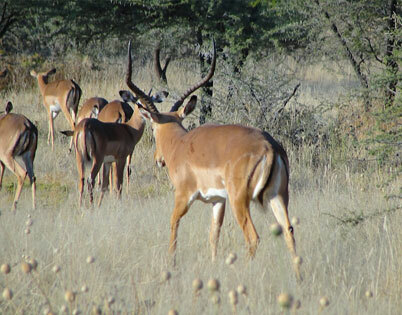 To genetically not to distort the inventory of this subspecies, the keeping of "normal" impalas on the game farms is strictly prohibited in the area.